FREE. Please contact us by email or on 02 8624 9340. 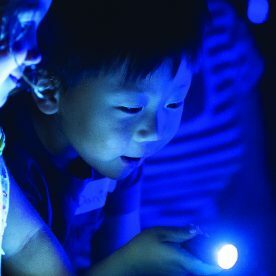 Children with special needs and their families: Join Crab and Turtle for this fun-filled immersive journey into an undersea world, designed especially for children with special needs. 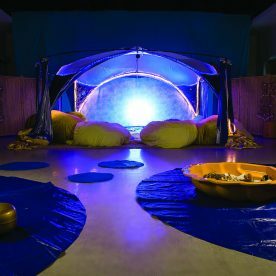 Set in a beautiful ocean installation, there’s plenty for your child to see, hear, smell, touch and taste as the story unfolds around them. 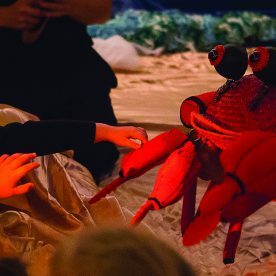 Sensorium Theatre create amazing experiences that cater for all children’s needs, taking the whole family on an exciting journey beneath the sea! Don’t forget to pack a towel! Is this for my child? 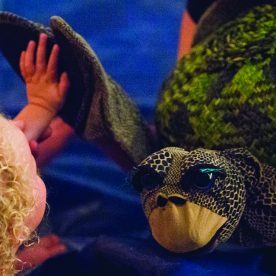 The performance is suitable for young people with special needs including autism spectrum disorders, sensory processing issues or impairments, intellectual disabilities, global development delay, cerebral palsy and other special needs. Please contact us with any queries. 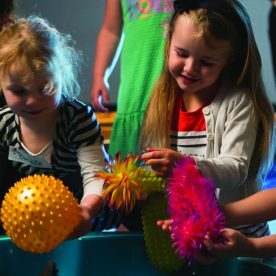 Hailing from Western Australia, Sensorium Theatre is at the forefront of inclusive performance in Australia, providing all children access to enriching artistic experiences. This event is open to primary school students with mild to complex disabilities, and their carers. 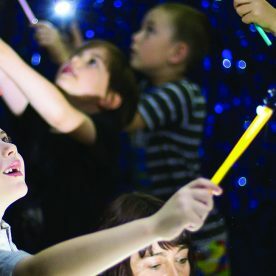 Capacity is limited to 14 children and 14 carers per performance and will run out quickly: be sure to contact us to make your EOI as soon as possible. Optional extra workshop (free): 45 mins long. Workshops start at 9.30 or 9.45am.